Despite already having several months of above average temperatures this year, the summer isn’t over yet. Now there is a scary thought for you. Yes, we can expect at least another month or more of heat and humidity. So the question is, “How is your air conditioner working?” Is the system cooling your home well, or is your old unit having trouble keeping up? You’ve lived with the unit this long into the summer suffering in the heat, but you don’t have to suffer anymore! For those of you who have systems that are not working as well as you would want. There are some incredible sales and deals this time of year. Those deals include manufacturer rebates, utility company rebates, and very aggressive pricing along with no interest financing options for as long as 60 months. 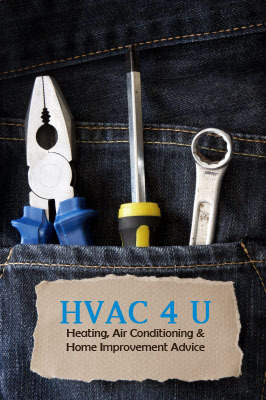 Getting to take 5 years to pay off your unit makes affording a new air conditioner easy! So if you think this might be your time to look at making the move to a more efficient and reliable piece of equipment give your favorite HVAC contractor a call and schedule an in home estimate. With the new system installed you will be able to enjoy the rest of the summer in a cool and comfortable home! With summer on its way, take a moment to consider the type of refrigerant your air conditioner uses to remove heat from the air in your home. Unless you are very involved in the care of your air conditioner, odds are you have no idea which type your air conditioner uses. However, if you haven’t replaced the air conditioner recently, odds are your system uses R-22. If this is indeed the case, it just got a lot more expensive to repair leaks that may occur within your unit, and unfortunately, leaks are among the most common air conditioner problems. Now may be the time to rethink investing any more money into this outdated system. Though the snow may be falling now, so far this winter has been very mild by comparison to years past. This has left many homeowners with much fuller pockets than usual and that money needs to be put to good use. That means that we need to find good investments to ensure that this money is well spent. Investing this money in your home is a great place to start and spending it in improving the homes energy efficiency is even better! Going green has many benefits for the environment and for your wallet. Take a moment to look at your last energy bill. Odds are the cost was much lower than you were paying at the same time last year. How would you like to pay that much on your energy bills every year! Making energy efficient upgrade could make that possible! Boilers have been known to last much longer than the average furnace, but this isn’t necessarily something to take pride in. Sure, it is great to get the most out of your investment, but when the unit is going on 30 or 40 years of age, you may be pushing your luck. You could be heading for a very inconvenient breakdown or even a home disaster. At the very least you are probably overspending by hundreds every year on your energy bills just to operate that ancient artifact! Now may be the time to replace that boiler on your terms instead of waiting for the worst! Plan Your Boiler Replacement Now! Are you in the market for a new furnace? If so, you will quickly find that there are a number of choices and options to choose from when finding the perfect unit for your home. When you have to keep a budget in mind, there are some options you may be tempted to go without, however, there are some that shouldn’t be left behind. Choosing a furnace that has a variable speed motor is one such option that should not be overlooked. These units may be slightly pricier, but they will often save you more down the line.